We are happy to announce our newest wine creation! Click above to head on over to our WineCandy store. Try a bottle today! Our family owned and operated winery is located in the quaint and beautiful Cerro Gordo, North Carolina. Our hand crafted wine recipes date back to the 1950's, and to this day we continue to use the same single varietal of fresh blueberries. 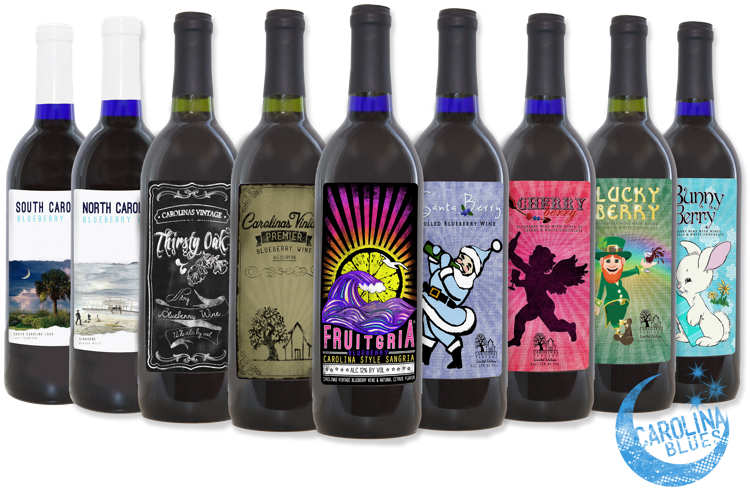 Carolinas Vintage winery uses only naturally ground filtered water, extracted through 200 feet of coquina unique to the region, giving our wines a truly delicious one of a kind flavor.